Consult with a lawyer to discover whether your case has merit. To have a viable personal injury claim, you'll have to show that the other party acted either negligently or maliciously. It’s not uncommon for people to think of personal injury claims as the domain of people looking for a quick pay check after a minor injury. The reality is something altogether different. 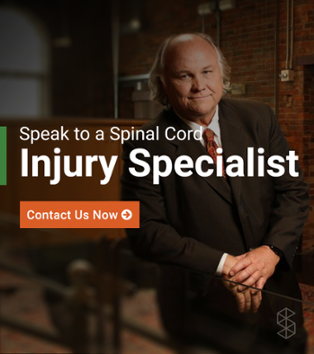 A personal injury, especially a traumatic one such as a brain or spinal cord injury, can cost you anywhere from tens of thousands of dollars to millions, and may even cause a permanent reduction in or loss of income. If someone else was at fault for your injury, you shouldn't have to pay for their mistake. Here's how to file a personal injury claim. Do You Have a Basis for a Personal Injury Claim? Not every personal injury warrants a lawsuit. If you hit a stop sign while drinking, trip over your own feet in an otherwise safe store, or hit your head while swimming without permission in someone else's pool, you'll be unlikely to prevail at trial. To have a viable personal injury claim, you'll have to show that the other party acted either negligently or maliciously. Creating dangerous conditions—such as not cleaning the floor at a grocery store or driving too quickly—is one example among many of negligence. To successfully file a lawsuit and get paid, you must prove that you have sustained damages. Falling without an injury, or suffering an injury so minor that it warrants no medical care, means you will not have any damages, and therefore no reason to sue. Even if you do have damages and can prevail at trial, though, there's another factor at play: the other party's budget. If the responsible party is an individual, you may never see a cent if he or she is not financially well-off. Business typically have insurance policies that help them pay personal injury claims, so many plaintiffs diligently work to find a responsible business, rather than suing an individual. For example, if you are assaulted in a grocery store parking lot, you might sue the grocery store for failing to provide adequate security instead of suing your assailant. Generally speaking, the more serious your injuries are, the more money you are likely to win. How sympathetic you are can also play a role. If you generally get along with people, have a sympathetic story, and did not act negligently, a jury might award you more. If you are aggressive, vindictive, hostile, or contributed to your own injuries in some way, this can drive down the value of your claim. Other costs, such as the costs of traveling to and from a specialized rehabilitation facility. Long or short-term care expenses. Lost wages or earning potential. Court costs and attorney's fees. Punitive damages if the other party's behavior was particularly egregious. If you've been in a car accident or suffered an injury at a business, you are likely dealing with an insurance company. Insurers have one goal, and that is to minimize their liability. So insurance settlements are often unfair. But to determine whether it's worth your time and effort to file a lawsuit, you must come up with a reasonable estimate of your claim's value. If you can't give the insurer clear reasons why you deserve more, it's unlikely that you will be able to convince a jury. It's tempting to go it alone, particularly if you're worried about costs. But lawyers exist for a reason. The law is a complex beast, and few non-lawyers have the skills necessary to litigate a claim to the death. The insurance company may even take advantage of this fact, failing to inform you of important information and using your legal naiveté against you. You should seriously consider getting the opinion of a personal injury lawyer. 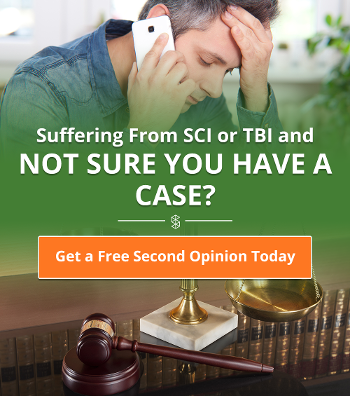 Most brain and spinal cord injury lawyers work on a contingency basis, which means that you don't have to pay unless you win. If no lawyer will take your case, even on a contingency case, this strongly suggests that you might not have a viable claim. It doesn't matter how compelling your case is or how good your lawyer is. If you don't file your claim in time, you cannot win. In most situations, the statute of limitations is two years, which means you must file a complaint within two years from the date of the injury. This seems easy enough, but gathering the information you need to file your complaint, serving the defendant, and choosing the right court in which to file the claim can prove challenging—especially if you're flying solo without an attorney. Don't wait till the last minute. You cannot win your claim if you cannot prove that you were injured. Seems simple enough, but proving your injuries requires dedicated record-keeping. You'll need your medical records, evidence of any lost wages, and documents proving each and every other claim for damages you make. You must also avoid doing anything that could undermine your claim. For example, if you go water skiing but claim you are unable to work, the other side could use this as evidence that you are not as injured as you say you are. You should also document any and all conversations with the other side, particularly admissions that they are at fault or settlement offers. Your word counts for very little in court; it's evidence that wins cases. It's not enough to file a lawsuit and hope for the best. You must also follow the court's rules for pursuing your claim. If the judge asks you to provide a specific piece of information, to show up for court, or to hand over evidence, your case could suffer if you fail to do so. Local court rules can be a morass of confusion, particularly to someone who is not familiar with the legal system. For this reason alone, you should consider hiring a lawyer, even if you filed the initial complaint yourself. Your lawyer can help you wade through the mess, ensure you don't miss important deadlines, and address any legal procedures the other side fails to follow. This alone could mean the difference between a win and a loss. 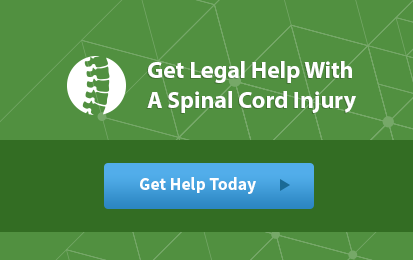 Download our free eBook, When to Get a Brain or Spinal Cord Injury Lawyer, if you have questions about whether your case may qualify for a lawsuit.